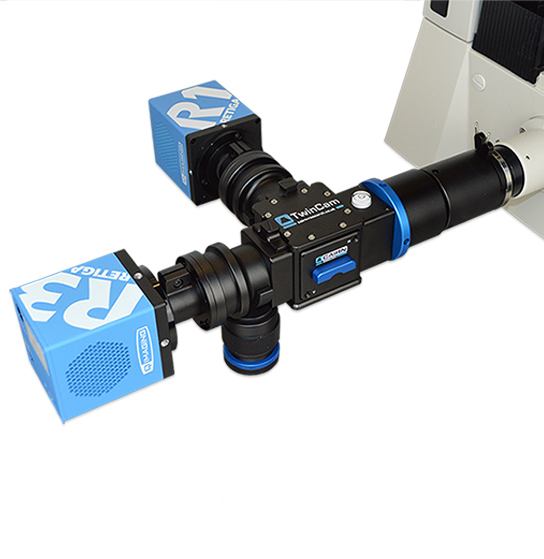 With custom designed optics, the Cairn TwinCam offers superior image quality on large sCMOS size camera sensors. 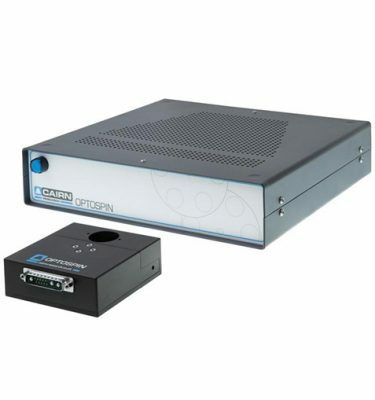 The TwinCam, dual emission image splitter, allows light to be distributed into two unrestricted images on the basis of wavelength, polarisation state or focal depth. 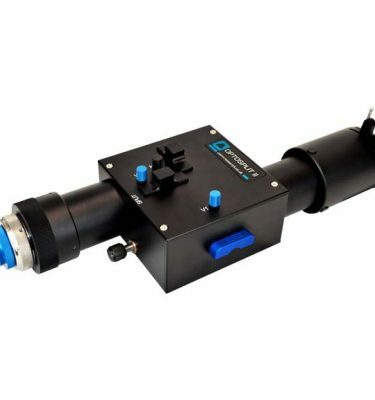 We have also added pupil plane focus adjustment to allow easy optimisation with spinning disk ports and to allow precise positioning of optical components in the pupil plane. 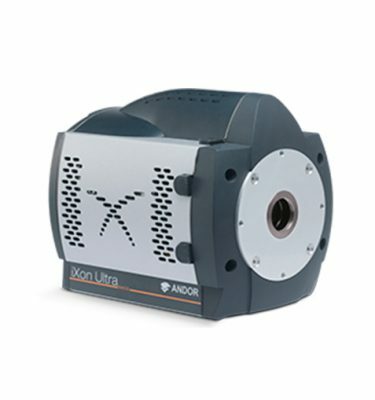 A single, rapidly interchangeable Cairn cube has fine mechanical x-y adjustment for pixel overlay or deliberate image offset. 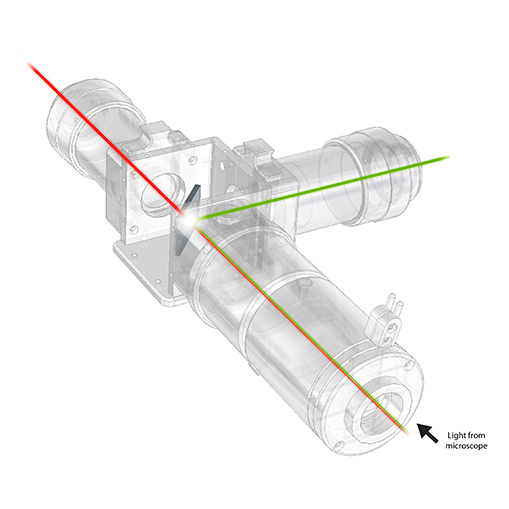 The TwinCam input also has a variable rectangular aperture enabling the use of cropped sensor mode on both detectors. 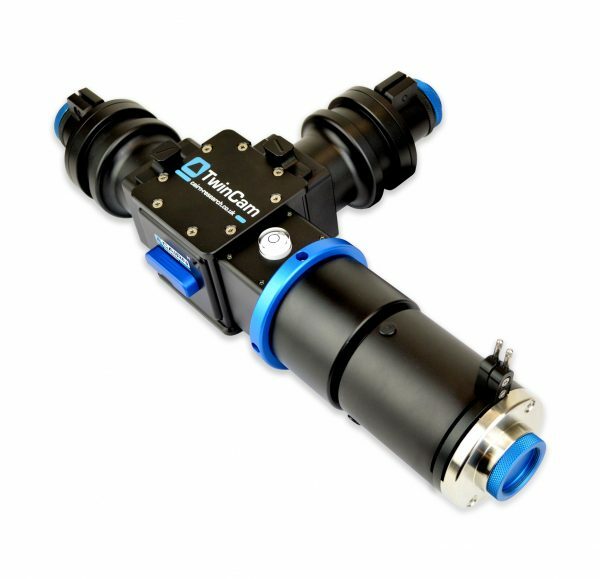 The TwinCam uses our own lens design to support the Larger Sensors of scientific CMOS and some EMCCDs cameras. 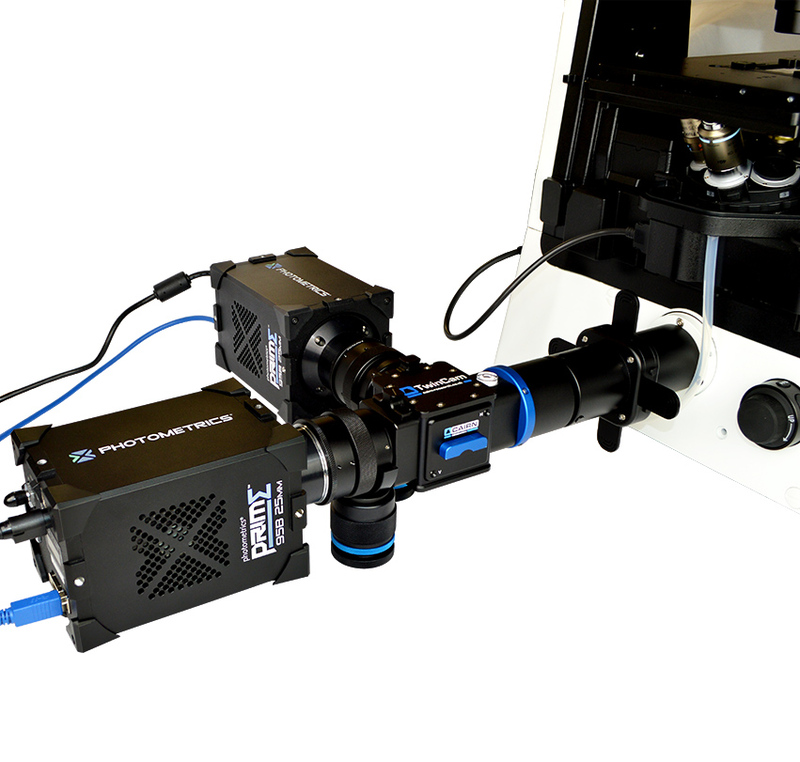 The instruments have a correspondingly larger aperture and better correction to give enhanced performance with all sensors. 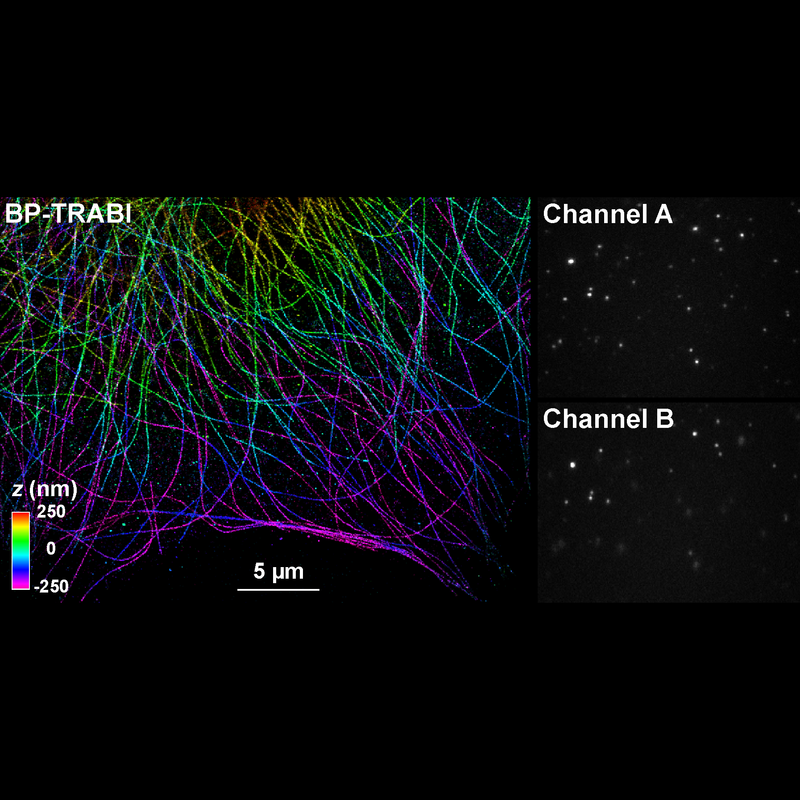 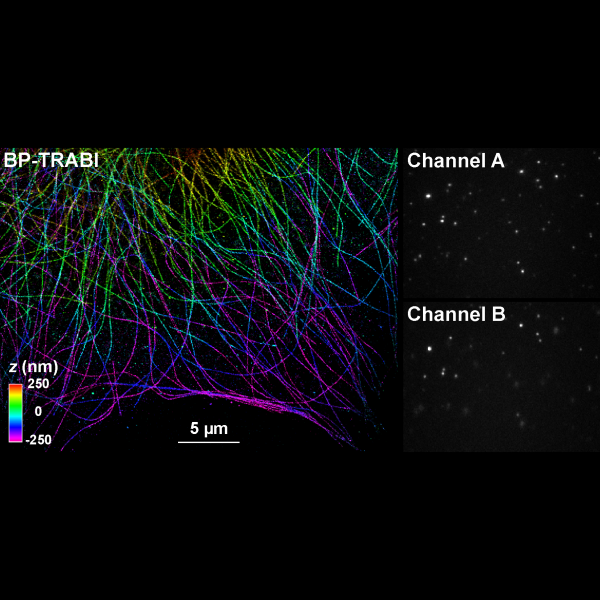 Device drivers are included in most commercial imaging packages to assist registration and to allow real-time and off-line fluorescence overlays from two cameras. 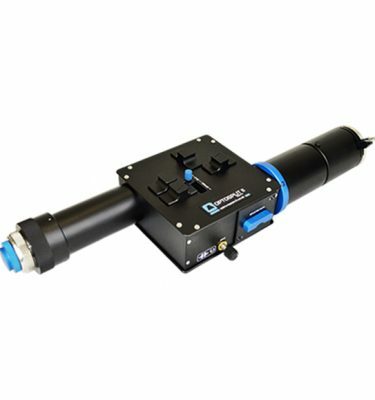 The simple and accessible design makes the TwinCam an excellent platform for alternative applications, such as dual polarisation imaging or simultaneous high speed and high resolution imaging by making use of differently optimised cameras.